The newly refurbished hotel offers updated shabby chic interior design. All rooms have been provided with new TV’s and sumptuous beds to ease you into a blissful nights sleep. We are confident in our facilities and believe they make Greenwoods Hotel & Spa one of the top luxury hotels in Essex. Rooms are available from check in at 2pm until check out at 11am. Hotel residents can enjoy complimentary use of our spa facilities throughout the duration of their stay (guests must be 16 or over to use the spa facilities). These rooms have everything you need to enjoy your stay at Greenwoods Hotel & Spa. Complimentary water, tea and coffee are provided. An LCD flat HD smart digital TV and complimentary use of the spa facilities and fitness suite are also included. 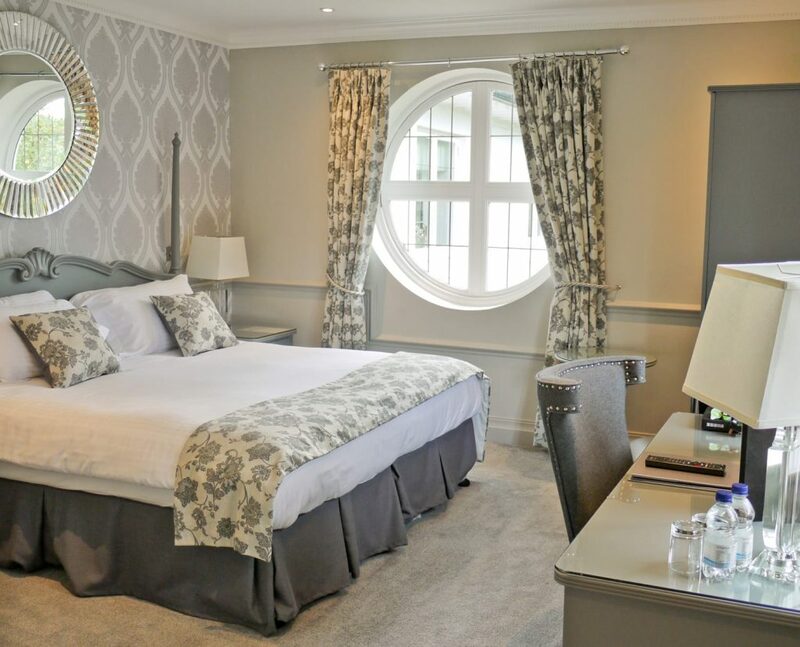 Our Luxury Manor and Classic rooms are beautifully designed. Complimentary water, tea and coffee are provided. An LCD flat HD smart digital TV and complimentary use of the spa facilities and fitness suite are also included. Our Premier rooms are equipped with luxurious spa baths and marbled bathrooms. Complimentary water, tea and coffee are provided. An LCD flat HD smart digital TV and complimentary use of the spa facilities and fitness suite are also included.